Dr. Grawe can help you achieve beach-ready abs in 30 minutes with Emsculpt at ROXY Plastic Surgery! What if you could have amazing abs without going to the gym? With Emsculpt at ROXY Plastic Surgery, Dr. Grawe can give you the FOXY abs you’ve always wanted! Emsculpt is a fast treatment that uses HIFEM technology to tone and define your stomach muscles. The machine contracts your muscles for approximately 30 minutes with several “lactic acid” removal episodes to decrease any soreness after the procedure. Nope! The sculpting treatment is done at our Columbus, Ohio office and requires no downtime. In fact, you’ll be able to drive yourself home and can resume all of your normal activities. We just recommend that you don’t work out your core/abdominal area to ensure everything heals properly. Dr. Grawe recommends 4 treatments at least 2 days apart within 2 weeks to help you achieve the best results. Studies have shown that over a month after Emsculpt, you’ll experience a decrease in fatty tissue by up to 19% and an increase in muscle thickness by 16%. See more Emsculpt before and after photos here. 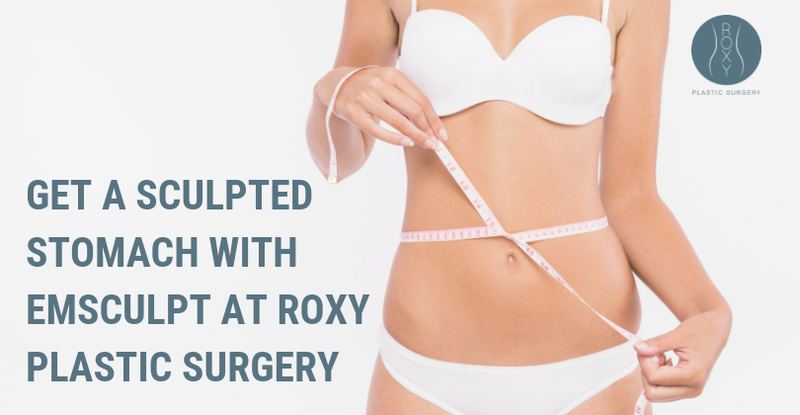 When you book your consultation at ROXY Plastic Surgery, our ROXY girls will determine if you are a good candidate for Emsculpt. 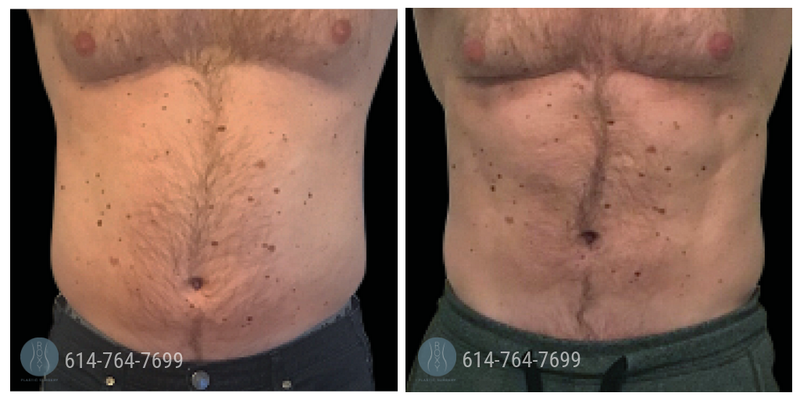 This treatment works on both men and women, and we’ve even seen a decrease in rectus diastasis (muscle separation) in women after pregnancy! If you are ready to have the abs (or buttocks) you’ve always dreamed of without going to the gym, then call us at 1-614-764-7699 to book your consultation at ROXY Plastic Surgery today.